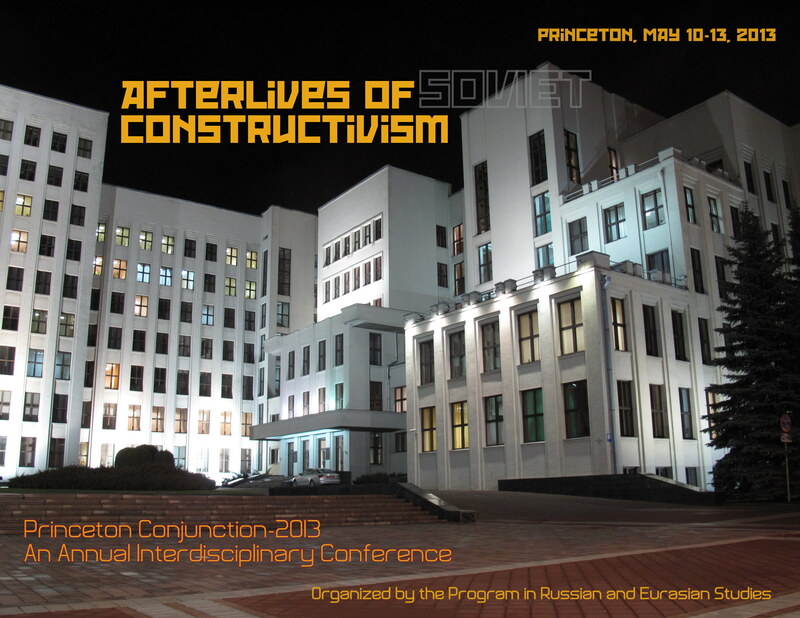 Illusions Killed by Life: Afterlives of (Soviet) Constructivism continues the series of annual interdisciplinary conferences that have been taking place at Princeton University in the last few years. Made possible by the generous funding from Princeton’s institutions, this year the conference brings more than thirty scholars from the US, Europe, and Eurasia. 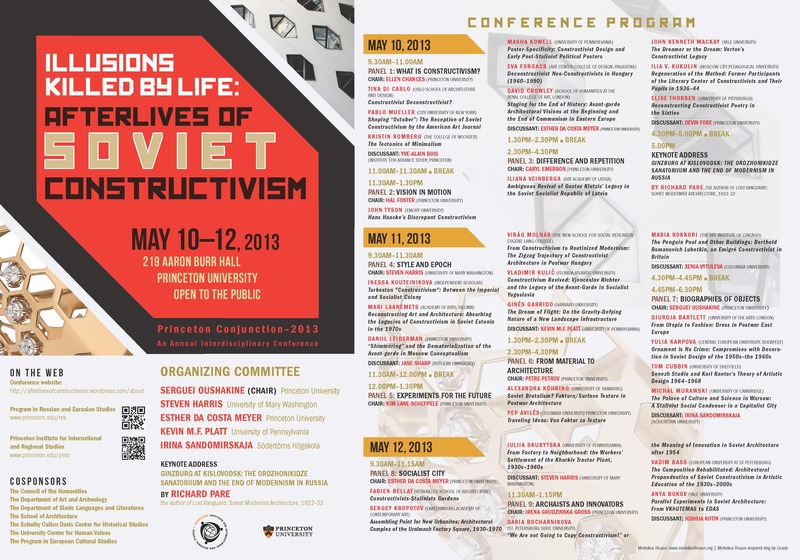 PANEL 1: WHAT IS CONSTRUCTIVISM? the author of Lost Vanguard: Soviet Modernist Architecture, 1922–32. Ornament is No Crime: Compromises with Decoration in Soviet Design of the 1950s – the 1960s. From Factory to Neighborhood: the Workers’ Settlement of the Kharkiv Tractor Plant, 1930s-1960s. “We Are not Going to Copy Constructivism!” or the Meaning of Innovation in Soviet Architecture after 1954. Problems and Perspectives of East European Literary Studies. A two-day workshop at Princeton University (February 8-9, 2013).